[S22] Ian Douglas Loiterton, A Loiterton History, page 62. Teresa Mary Perceval, née Hardiman. Photograph provided by P Blair. She was the daughter of Thomas Hardiman and Esther Wesley. Death 22 May 1945 Teresa Mary Perceval died on Tuesday, 22 May 1945 at aged 55 years, Rye Park, NSW, AustraliaG, at age 55. Name Variation Teresa Mary Hardiman was also known as Theresa Hardiman As shown in the birth entries for some of her children. As shown in her birth and marriage entries in the NSW BDM Index. He was the son of Montague Colville Wiltshire Beecroft and Emily Jane Dunn. [S2] Index of BDM records, NSW BDM, Place of Birth Registration: Paddington; Year: 1872; No: 4103. [S61] Barbara Pardey, "Rose Bean Family," e-mail to Lynn Smith then Robert Mote, 5 July 1999. [S49] Lynn Smith, "Thomas Beane", Record #69. [S139] Perry McIntyre & Adele Cathro, Thomas Dunn's Descendants, page: 189. She was the daughter of Montague Colville Wiltshire Beecroft and Emily Jane Dunn. [S2] Index of BDM records, NSW BDM, Place of Birth Registration: Sydney; Year: 1878; No: 1990. [S139] Perry McIntyre & Adele Cathro, Thomas Dunn's Descendants, page: 191. [S2] Index of BDM records, NSW BDM, Place of Registration: Sydney, Registration Year: 1903, Registration Number: 191. [S2] Index of BDM records, NSW BDM, Place of Registration: Sydney, Registration Year: 1908, Registration Number: 11124. Birth circa 1900 Minnie E Beecroft was born circa 1900 at New South Wales, AustraliaG. She was the daughter of Albert Henry Beecroft and Caroline Maude Russell. Married Name Her married name was Minnie Wethered. [S2] Index of BDM records, NSW BDM, Place of Registration: Sydney; Year: 1918; Number: 3600. [S2] Index of BDM records, NSW BDM, Place of Marriage Registration: Sydney; Year: 1918; Number: 3600. He was the son of Alfred Wethered and Minnie E Beecroft. Death after 2000 Alfred G Wethered died after 2000 at AustraliaG. Num Child Alfred G Wethered had three children. [S2] Index of BDM records, NSW BDM, Place of Marriage Registration: Sydney; Year: 1917; Number: 25219. Birth circa 1919 Joyce Irene Wethered was born circa 1919 at New South Wales, AustraliaG. 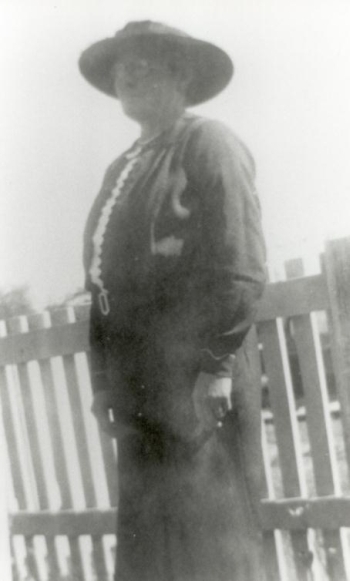 She was the daughter of Alfred Wethered and Minnie E Beecroft. Death after 2000 Joyce Irene Wethered died after 2000 at AustraliaG. [S139] Perry McIntyre & Adele Cathro, Thomas Dunn's Descendants, page: 190. [S2] Index of BDM records, NSW BDM, Place of Marriage Registration: Glebe; Year: 1941; Number: 2590. Birth circa 1921 Norma Merle Wethered was born circa 1921 at New South Wales, AustraliaG. Death after 2000 Norma Merle Wethered died after 2000 at AustraliaG. [S2] Index of BDM records, NSW BDM, Place of Marriage Registration: Glebe; Year: 1943; Number: 2816. Death Vera E M Beecroft died at AustraliaG. Marriage Vera E M was married to Michael Quill. Married Name Her married name was Quill. [S2] Index of BDM records, NSW BDM, Place of Registration: Goulburn; Year: 1902; Number: 3125. Birth Michael Quill was born at AustraliaG. Marriage Michael was married to Vera E M Beecroft, daughter of Albert Henry Beecroft and Caroline Maude Russell. Marriage Shirley was married to Alan McDougall. Birth Shirley Quill was born at AustraliaG. She was the daughter of Michael Quill and Vera E M Beecroft. Married Name Her married name was McDougall. Marriage Alan was married to Shirley Quill, daughter of Michael Quill and Vera E M Beecroft. Birth 16 November 1924 Betty Joan Beecroft was born on Sunday, 16 November 1924 at Sydney, NSW, AustraliaG. She was the daughter of Albert Henry Beecroft and Doris Eliza Byrnes. Married Name 1955 As of 5 November 1955, her married name was Neasmith. Birth 26 January 1927 Dorothy Eva Beecroft was born on Wednesday, 26 January 1927 at Marrickville, NSW, AustraliaG. Married Name 1953 As of 6 April 1953, her married name was Nixon.